Herolds Bay just west of the Malgas River flows into the Indian Ocean. 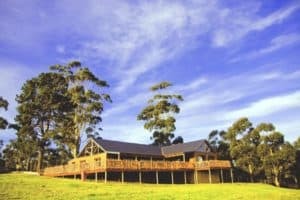 Finding a special place to stay in this small coastal town about 20km west of George in the Eden Municipality district while you visit the Garden Route is a must. Herolds Bay has a beautiful beach with a tidal pool. Dolphin View, Herolds Bay can be your base to explore South Africa’s scenic natural paradise – the Garden Route. We’re around the corner from Ernie Els’s Oubaai golfing development, six minutes from the George airport, and twenty minutes from Fancourt. What’s more, our reasonable rates and friendly, efficient service will bring you back again and again. Our cosy apartments are for the discerning tourist or business person seeking a relaxing and beautiful home base. We offer, daily, weekly or monthly rates…. … where people and nature meet! Only 2 km’s on the Oubaai turnoff from the R404 road towards Herold’s Bay is where people and nature meet! Herold’s Bay Resort is your preferred destination in South Africa’s Garden Route for weddings, conferences, functions and other events, also offering accommodation and our famous Sunday lunches. In the heart of South Africa’s Garden Route in the Southern Cape area, you will find the picturesque little village of Herold’s Bay. Makarios at Herold’s Bay offers you only the best in self-catering accommodation to enjoy an unforgettable beach holiday in Africa.